In a time in which bringing deep transformation within, and in all aspects of our life, is essential, for the ones who have consciously chosen a path of constant growth, and hence, change, we are blessed with a renovating New Moon at 15 degrees Scorpio. This Moon presents us with the opportunity to embrace transformation in all aspects of our lives, especially in our relationships, for if we do not begin to dissolve what can no longer coexist with who we have become, we could not sustain the new reality that we are so eager to manifest. As you know, the Fixed sign of Scorpio is ruled by two of the most powerful Planets, Mars and Pluto. Mars gives us the fiery and Warrior-like energy that we need to initiate the proper changes in our lives. While Pluto – a Planet that is all about power, regeneration and rebirth – activates the necessary shift that needs to occur for us to transform all that is not working – helping us to dissolve our inner struggles, as often all outer conflicts are just a reflection of our inner ones. As I share may times, the Moon is not as we have been told/taught, and even though this subject is a deep one and everyone shall obtain this information from within, I would like to shed some light upon the Moon. For when I share about the Moon, it is not from the usual 3D perspective, but from a more profound view. The Moon, as many of you already know, is an artificial satellite, whose function, unlike many think, has not been precisely to protect us or help us to awake our intuitive channels. On the contrary, it has been brought by the dark forces, eons ago, and it has served as a base from where they manipulated not just our Planet but humans – distorting our feminine/sexual centers, higher senses – chakras – as well as other channels that connected us with our cosmic lineage. When I share about the Moon, I mainly refer to the essence of it with other planetary alignments, for it is all about the true nature of events what matters more than what we have been programmed to believe about a certain planet or cosmic encounter. This is why it is so important that we consciously connect with the essence of the stellar bodies, before invoking, impulsively or unconsciously, the Moon or any other planetary body, for we may be making contact with essences or beings that are not aligned with who we are, the Law of One, and hence, with our real purpose of making this cosmic connection. In a general perspective, this Moon has very good aspects, as it will trine Neptune, the Planet of Intuition and Dreams, we have a very feminine essence we could use to enhance our creativity. On the other hand, this Moon will also make a positive aspect to Pluto, which will give us the power we need for us to transform what is required, so we can bring forth our soul creations and deepest inspirations. However, the essence of this Moon in Scorpio goes beyond being creative, for it is also a time for us to go deeper into our inner realms and bring into the surface all that remains hidden for our conscious mind – bringing synthesis to the aspects of us that still dwell in pain, separation and illusion. This is a time, especially with Venus “retrograde” to find all the love we tend to search outside ourselves within, and restore the first, and most important, relationship of all, the one with our own selves. As ascending souls, the majority of us, have dwelled in darkness, feeling unloved and unappreciated, when in truth, we were the ones not truly, and unconditionally, loving, and accepting ourselves. This is one of the most important imbalances to heal, if we desire to evolve and hold a higher frequency within and in our relationships. There is no one else that can fulfill our empty voids, if we do begin the inner work of feeling whole and healed, first. Due to the feminine essence from this Moon, we have the gift to work with our feminine/sexual Force and traumatic experiences that have damaged our sexual centers, causing profound imbalances that are impeding us to have balanced relationships, express our feelings as well as maintain intimate relationships, which is always a physical representation of the love for ourselves, and inner fusion, we first must accomplished so we can be able to give the other this same love. At this time when we are about to end a human year and another macro cycle of our evolutionary path, it is vital that we begin to let go of the old and work on the conscious dissolution of everything that still bonds us to our past. As the decisions made, at this transitional time, will be the ones that will construct the next phase of our journey, and if we do not desire to see the same old patterns, people or situations, it is our choice to begin releasing all that we are still feeding, whether consciously or unconsciously. Releasing or letting go the old, does not just refer to our past relationships, habits and situations, but to our regrets, guilty feelings and painful ones. We must let go of all that disempowers us, and all that we keep feeding with the egoic excuse of how others treated us, in the past, which I know it sounds hard, for many have had unspeakable experiences, and I include myself. However, the truth is that no one has ever done anything to us, and that as soon as we realized this and understand that even though our experiences were wrong without measure and painful, it had a purpose and they/we helped each other’s much more than we can imagine. Some of us have been abused, by unconscious partners. Others have suffered other abuses, by mentally ill and dark people, and even though at some point they will be forgiven, will condemn themselves to experience profound and terrible pain for eons. And for us, as ascending souls, our only way out is to recognize our Divine Power, and strength within, and use it to embrace our inner child and all the aspects of us that have been deeply damaged and that need to remember of the love that we are, of the love that we All, in Essence, are. Our mission, as conscious beings who are evolving, and embodying more Love, is not to judge them or punish ourselves, for it was never our fault, but to focus not on all the unlove we experienced, but on the love that we are and can give to begin change this dense frequency. As even though in this human plane, some have completely forgotten what true love is, as it shall be, in a world of polarities, others, like us, have chosen to come as a reminder of what the power of unity can do for All. Another gift from this Moon in Scorpio, as I shared at the beginning, is its strong connection with Neptune, which not only help us with our creative gifts but with our connection to a Higher Intelligence – giving us the opportunity to align, and co-create with this Eternal Force, to retrieve more guidance about who we are and what we can do to be of further assistance. As starseed souls and new earth seeds, our path is not a path to please the egoic self, but to master it. We did not come here to simply experience a human realm, which is equal to any other choice. However, our path is one of selfless service to All, without making any differences, and while others may be enjoying the pleasures of living a human existence, some of us are anchoring, in our unique way, the new frequencies received, outside, whether it is cold, hot or in any other conditions, or whether we are doing it accompanied by other soul mates or “alone”. Our journey was never about us, but about All. 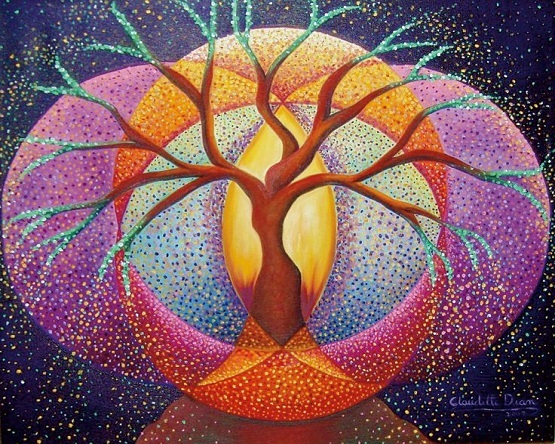 When we understand the importance of unity, when we begin to disassociate ourselves with just being an individualized aspect of God, with being All, is when our true path of service begins, and when our soul finally descends our soul true mission, into our human self, for we are ready now to fulfill the destiny that the Divine orchestrated with us. This is a Moon, and a cosmic gift, for us to embrace ourselves. For we are all moving in an eternal dance of embracing and letting it all go. We are just beginning to remember only to choose to forget, again, if necessary, and come back to be of assistance. We are not here to judge others and less ourselves, for things that we cannot comprehend, with our limited minds. We are here to remember the power of love, unity and compassion. The more we fight to embrace these three Powers, the only real ones, the more we will remain in our own shadows. It is all what we choose to experience, and it is not our task, as sovereign beings who are conscious and remember the nature of our human existence, to judge or compare ourselves in any way to others and their unique, and sacred, journey. Our mission is only one of bringing back the lost essence of what living in an authentic and loving reality, truly feels like. Our only aim shall be to shine our lights, as Source desires, independently of what others have chosen to do with their own human experience. Nothing is our concern but our own energy. Nothing shall trouble us except where we choose to put our power. Do you choose to direct your power to assist others whether the circumstances are in your favor or not? Do you choose to shine your loving essence, with everyone, and in everywhere, even though your human self cannot understand where you are? Or do you choose to just be loving at a certain time or with specific people simply because is more convenient or with the excuse that you too deserve to only be with people who resonate with you? Whatever you choose is what you need to experience to grow in love, which is what we are mastering, at this time, as Venus is reminding us. You could never choose anything that is not going to bring you back to love, for it is what you are, and the more you try to be selective with situations, environments and people, the more you will be testing yourself to love them All, whether they resonate or not, for within a dual reality, you could never escape of the Divine Gift of loving All as equal, no matter how far you decide to go, all will be an opportunity for you to become the LoveLight being that you are. What is your conscious choice at this moment? Do you choose to dwell in love or in separation? Beloved Ones, no matter what you choose, know you are and will be, always, immensely loved and appreciated without measure. Do not beat yourselves down for past mistakes. Do not punish yourselves. For the Divine knows no unlove, judgment or any other form of human illusion, it is you the only one choosing to create it. I wish you all a loving, healing and blessed New Moon. Remember to remain in the Illumined, Wise and Powerful Essence of your Soul, Beloved Companions! This entry was posted in Uncategorized and tagged BEing love, embrace ourselves, letting go of the old, love, Mars and Pluto rule Scorpio, master egoic self, Moon embraces transformation, Moon is artificial sattelite, Natalia Alba, recognise our divine power. Bookmark the permalink.